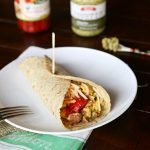 Crunchy Southwestern Chicken Wrap – easy lunch ideas are hard to come by. 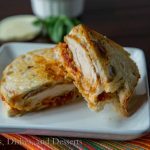 These chicken wraps come together in minutes, you can make them ahead, and the creamy spicy sauce makes them extra tasty! This post is sponsored by Ibotta. All thoughts and opinions are 100% my own. It is hard to believe that it is nearing the end of July and summer is almost over. I am not quite ready to think about back to school yet. But it is going to be here before you know it, and I am not going to have a choice but to deal with it. 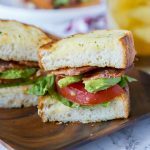 With back to school, busy weeknights, packing school lunches and everything else, I am all about easy dinners ideas and lunches. 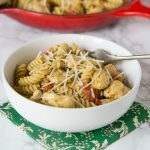 If I can make something that is perfect for dinner and doubles as easy lunch ideas I am super happy. 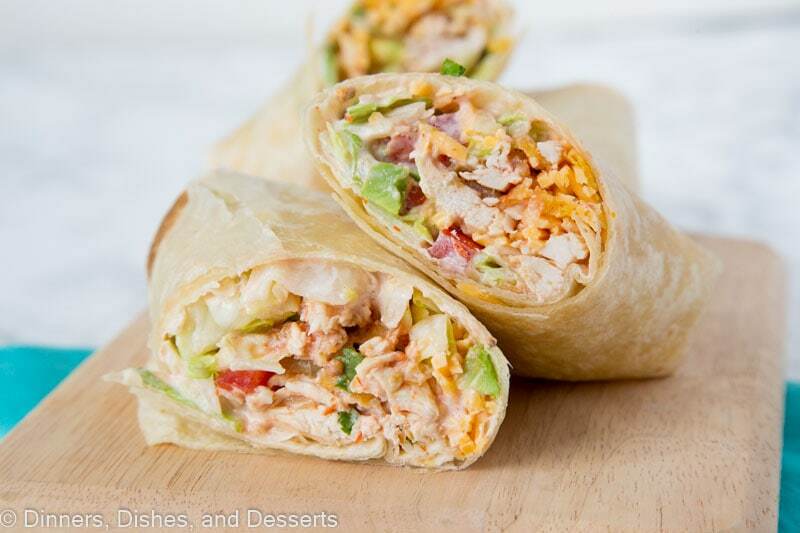 And these chicken wraps make life easier when everything else is crazy busy. 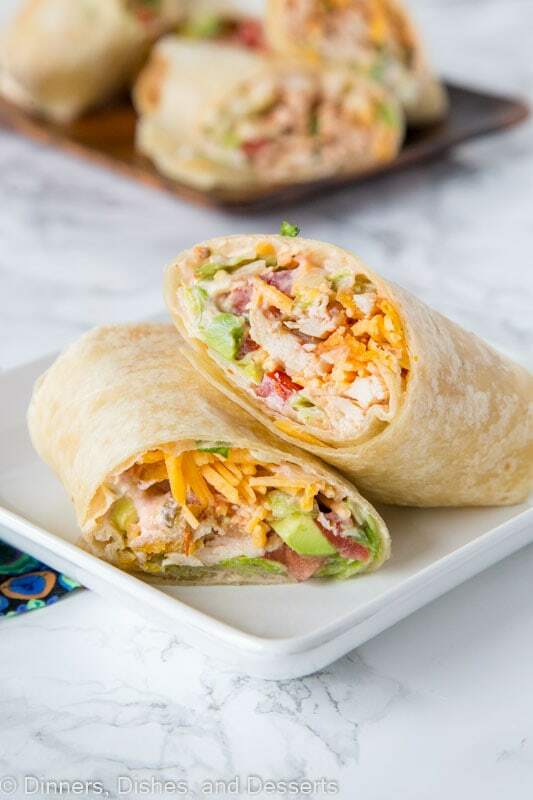 I am on a wrap kick lately, because these Chicken Club Wraps are my other favorite for make ahead meals and last minute easy dinners. Have you guys heard of Ibotta? I had a friend introduce it to me a couple years ago, and I use it all the time. It is the easiest way to save money. You don’t have to clip coupons and remember to bring them to the store, or actually give them to the cashier. Which may be something I can never remember. You just scan your receipt after you get home, and you get the money back! I like to look at the Ibotta App when I am making my grocery list to see what is on special, and then I will add those things to my shopping list. And the really nice thing? The money you get back just goes into your paypal account! Once you get to a certain amount you can “cash out” and get actual cash. Or you can “buy” gift cards with your savings. But it is the easiest thing I have found to get real money back while shopping. And these chicken wraps are perfect because a lot of the things you need are staple ingredients, which you can often find on Ibotta. 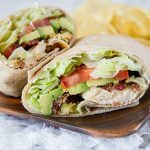 So if you are looking for make ahead meals as we get into back to school and the end of summer remember this chicken wrap recipe. 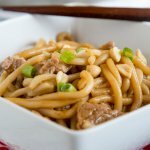 My son loves taking them for his lunch at school, and I love that I can make them on the weekend and he can take them all week long. Week day mornings are super easy that way. 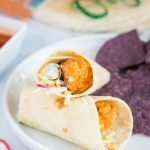 I have a weakness for Fritos corn chips, so they are the crunch in these Southwestern chicken wraps. 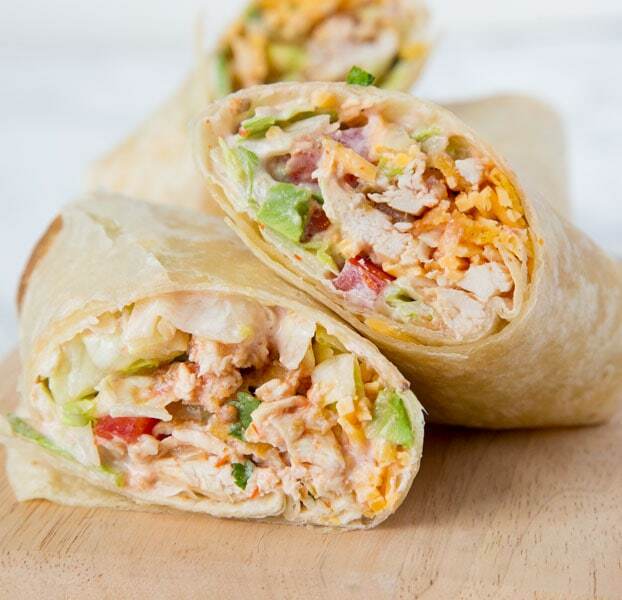 You can use rotisserie chicken, chicken strips, grilled chicken…you name it. It all works. The sauce it what brings it all together and makes it amazing. And it is super simple too! Seriously just sour cream, taco seasoning and salsa. But it is so good! 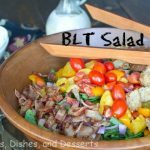 I make a similar dressing for Taco Pasta Salad and that combination just works! So if you haven’t already, go download the Ibotta App and sign up. Trust me, it is the easiest way to save money. And they have more than just groceries too. Restaurants have deals in there, clothing stores, liquor, and more. You can thank me later! 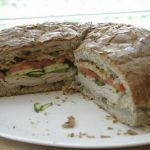 And if you are looking for easy lunch ideas or just fast dinners these chicken wraps are a must! If you have a fondness for Mexican food and those flavors, you are going to love these wraps. I mean, avocado, cheese, salsa; what is not to love?! I created a fun group on Facebook, and I would love for you to join us! It’s a place where you can share YOUR favorite recipes, ask questions, and see what’s new at Dinners, and Desserts (so that you never miss a new recipe)! If you’d like to check it out, you can request to join HERE. Be sure to follow me on Instagram and tag #dinnersdishes so I can see all the wonderful DINNERS, DISHES, AND DESSERTS recipes YOU make! 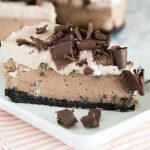 Connect with Dinners, Dishes, and Desserts! 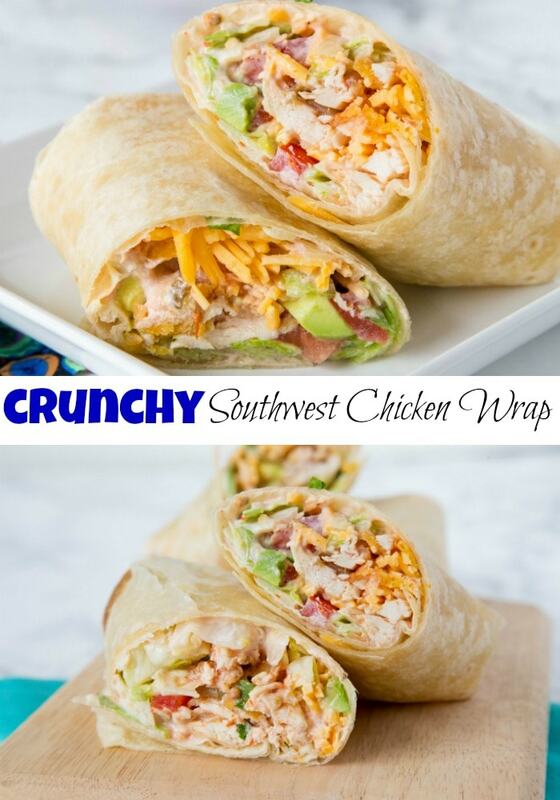 Crunchy Southwestern Chicken Wrap - easy lunch ideas are hard to come by. 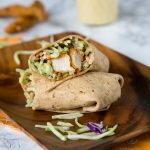 These chicken wraps come together in minutes, you can make them ahead, and the creamy spicy sauce makes them extra tasty! In a bowl mix together sour cream, salsa, and taco seasoning until well blended. Lay a tortilla flat on a cutting board. Spread 1 heaping tablespoon of sauce over the bottom half of the tortilla, leaving a 1 inch border on each side. Sprinkle 1/3 cup of lettuce, 2 Tbls tomato, ¼ of the avocado, 2 Tbls of cheese, and ½ cup of chicken over the sauce. Crush ¼ cup of Fritos over the chicken. Drizzle 1 Tbls of sauce over the top. Fold in the sides and roll tightly. Repeat with the remaining wraps. Cut in half to serve. **This post is sponsored by Ibotta. All thoughts and opinions are 100% my own. 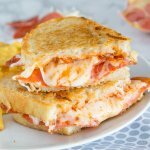 Guest Post – Toasted Turkey Sandwich! Wow you have outdone yourself with these, they are fantastic!! My kids will try so many things if they are in wraps. 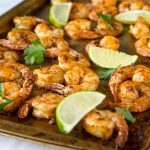 I can’t wait to make this with all of the Southwestern flavors! Mm I love a good chicken wrap! This looks fantastic! 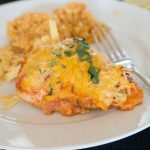 I’ve been craving Southwestern flavors lately, so this’ll be a must-make for me! Perfect lunch! 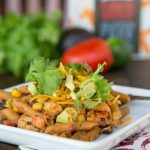 Love these southwest flavors and that added crunch of the Fritos is to die for! What a great idea for a light lunch! 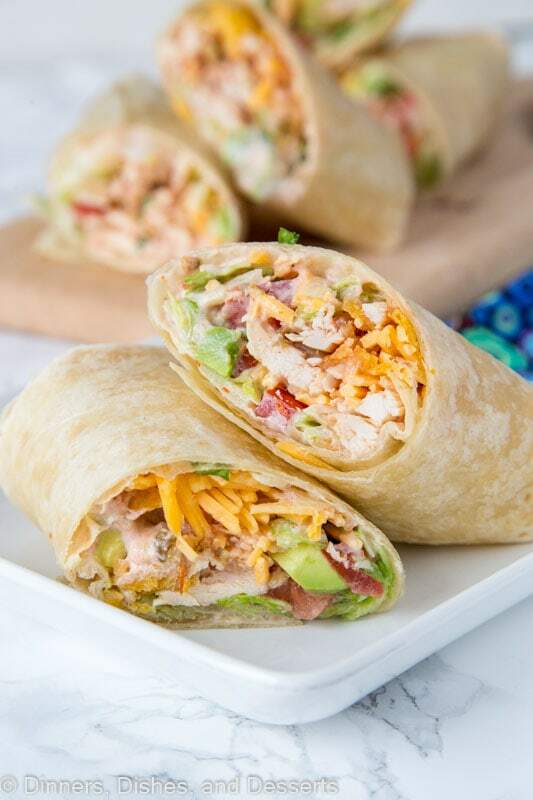 These wraps look like a perfect lunch to me! So delicious!